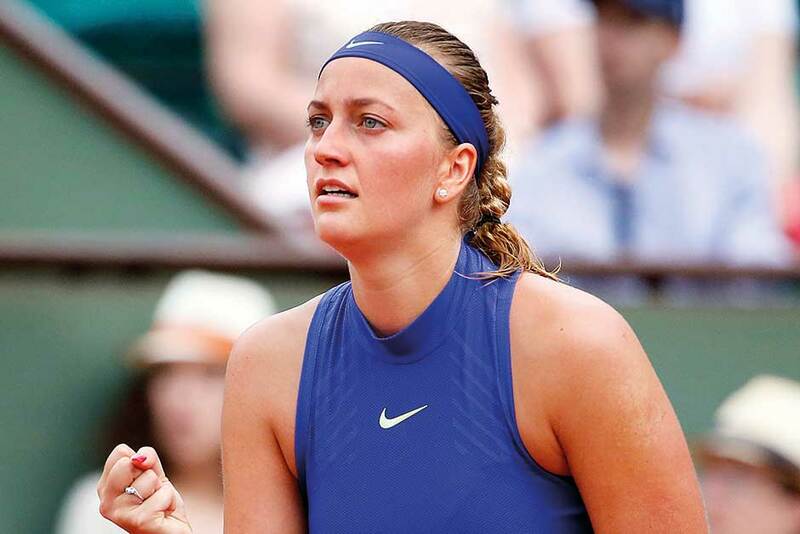 Paris: Petra Kvitova said on Sunday’s first-round victory at the French Open felt like winning twice as the Czech star made an emotional return from a harrowing knife attack at her home in December. “I came here as a winner already,” said Kvitova, who returned to action at Roland Garros after almost six months out. “When we were thinking about playing here I told my coaches I wanted to come and win my first match. That was a dream. The motivation I had today was amazing — and I really just didn’t want to lose. Kvitova was left fighting to save her career after the attack, admitting earlier in the week that her hand was “still not 100%”. However, the 15th seed won the opening point of the match with a sweeping cross-court forehand to set the tone for a convincing victory in just 74 minutes over world No. 86 Boserup. “The first point was amazing. I surprised myself with the forehand winner straightaway. It felt weird but great, as well. “It wasn’t really about the game. I mean, I had big motivation, and I know that I was going to do everything I can even if I should just run from side to side to win it. The 27-year-old received a warm welcome on Phillipe Chatrier court. She initially kept her emotions in check before finally shedding a few tears after sealing her place in round two. “My team was there. My family was there. Everyone who helped me through the difficult time. So it was a real pleasure to play in front of them and play how I played,” said Kvitova, whose team wore black t-shirts emblazoned with the words “courage” and “belief”. “I think I played well after six months off. I’m happy with the game, of course, but I mean, it wasn’t really about the game today. “Yesterday I was thinking how everything will be, and I couldn’t really imagine how that’s going to be. I maybe thought that I would cry when I step on the court, but I didn’t today. “I was happy, because normally I can control my emotion on the court, so I’m happy that I kind of did it, as well, this time. Kvitova provided a reassuring assessment of the condition of her hand, saying she hadn’t experienced any pain while on court. “I didn’t feel any differences, which is nice,” she said. A French Open semi-finalist in 2012, Kvitova will face Bethanie Mattek-Sands or Evgeniya Rodina in the next round.